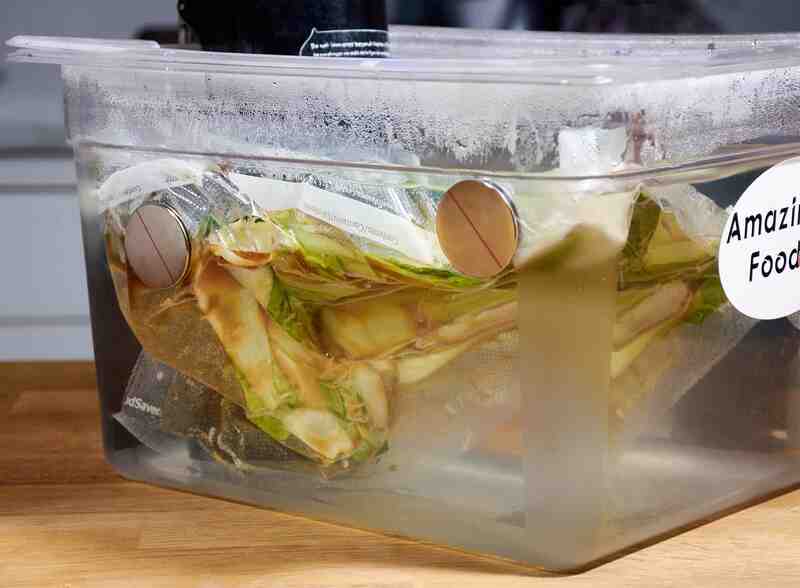 Bok choy isn't too difficult to cook traditionally, but with sous vide it can be tenderized without making it overly soft. It also completely eliminates the cleanup since you don't have to pull out a pot or pan. I often mix the bok choy and the sauce together in the bag, but you can always use a mixing bowl if that is easier for you. 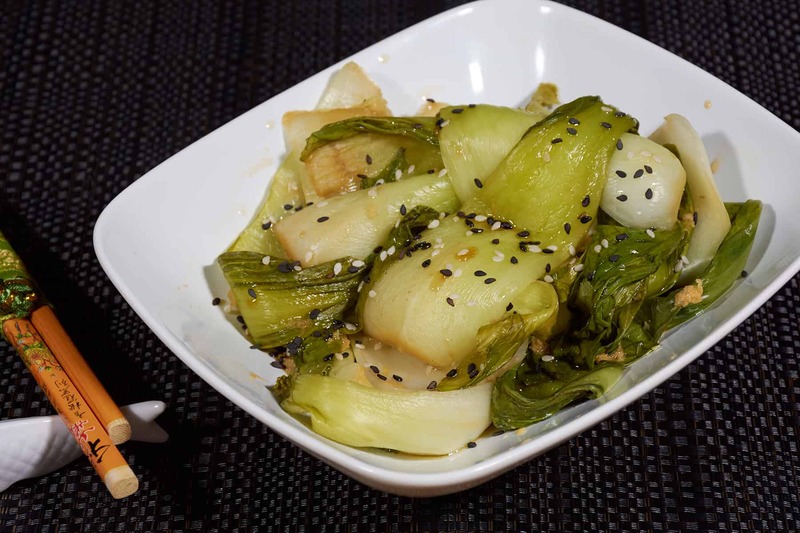 Just make sure that the bok choy isn't more than 1 or 2 pieces thick so it will heat evenly. Sometimes bok choy and other vegetables like to float. There are many ways how to prevent sous vide bags from floating but for this recipe I used Neodymium Disc Magnets, which work amazing. 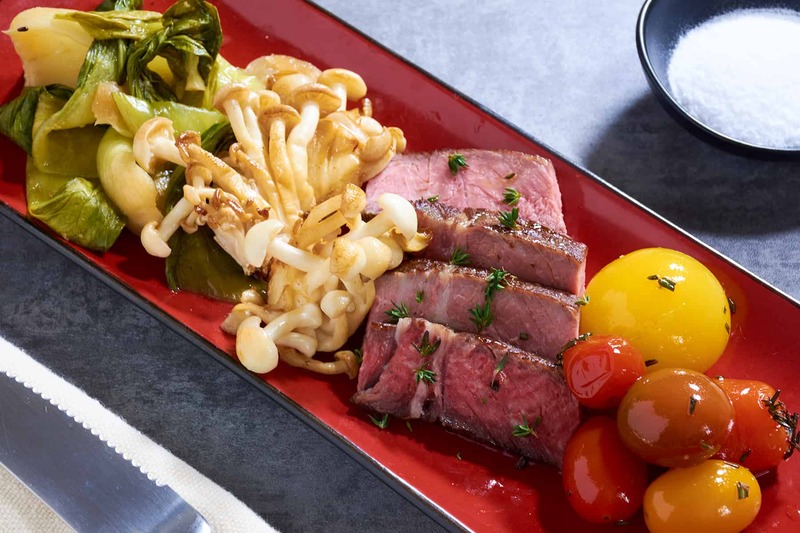 Once it is done, if you prefer a thicker sauce you can always reduce it on the stove after the sous vide process is complete. 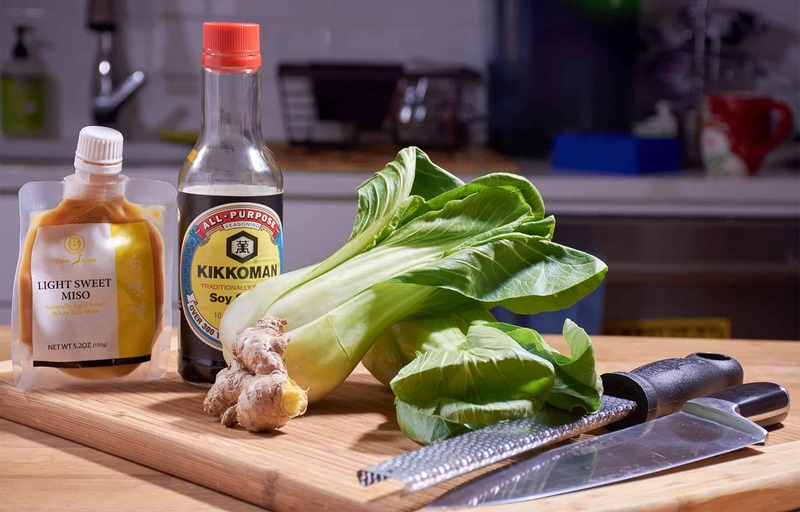 If you would like more information about the modernist techniques, ingredients, and equipment used in the sesame-miso bok choy recipe you can check out the following. Combine all ingredients in a bowl and toss to mix well. 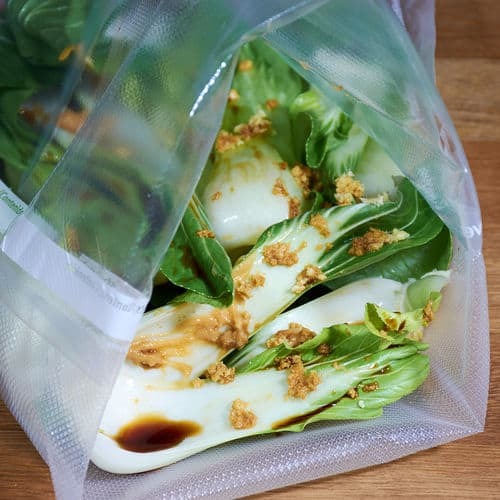 Pour into a sous vide bag and arrange in a single layer. Seal the bag then place in the water bath and cook for 15 to 30 minutes. Once the bok choy is tender remove it from the water bath. 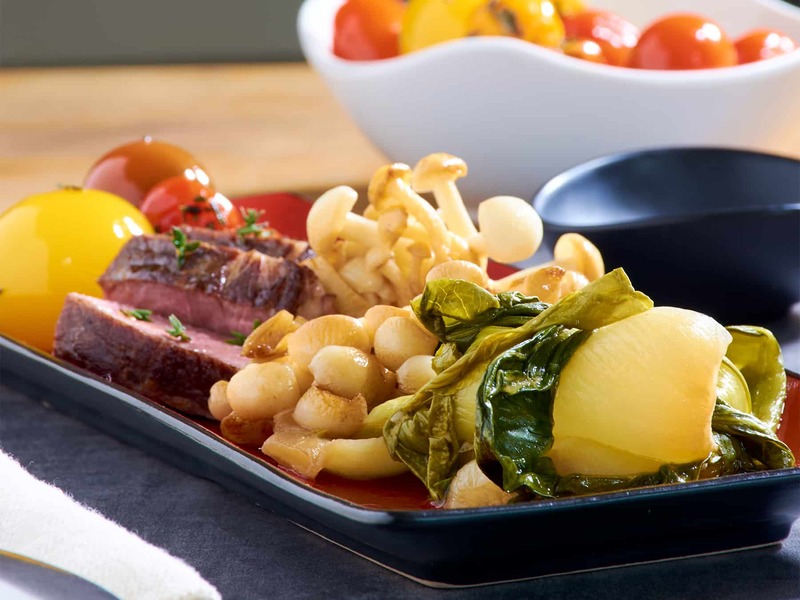 For more information on the cooking times you can read my detailed article which addresses why is there a range in sous vide cooking times. 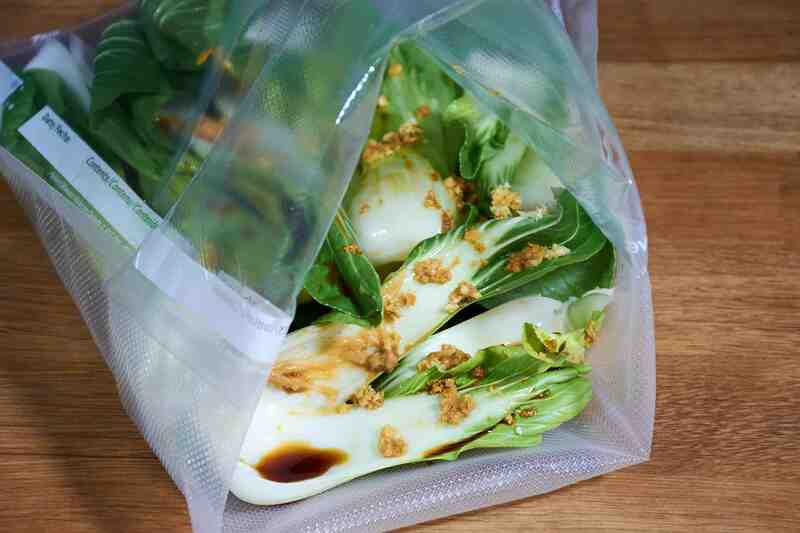 Remove the bok choy from the sous vide bag and place in a bowl. Drizzle with some fish sauce and sesame oil. Sprinkle with the sesame seeds then serve. 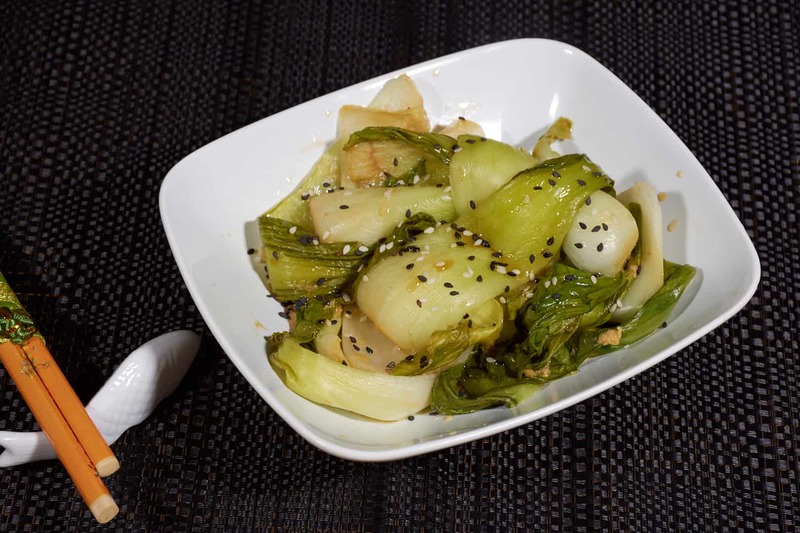 Sous vide bok choy is a flavorful and healthy side dish that is super easy to make. Here is my recipe for a tasty sesame-miso version that will amaze your family.